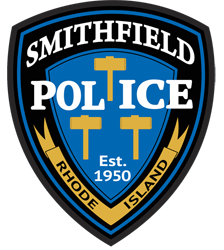 The Smithfield Police Department will issue a signed receipt for all firearms surrendered pursuant to a court order. Note: The Rhode Island State Police will only accept surrendered firearms at State Police Headquarters located at 311 Danielson Pike North Scituate, R.I. 02857. If surrendering firearms to the State Police or other local police departments, please be sure to follow each agency’s procedures.